Houses & Homes VA: Does Checking My Credit Score Hurt My Credit? The answer to that is both a yes and a no. There are 2 types of credit checks or what is known in the industry as “inquiries”. A “soft” inquiry is nothing more than when a person checks their own credit score and this does not affect their credit rating in any way, either positively or negatively. 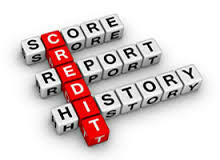 There is also a way for others to check your credit known as a “preapproval” or promotional inquiry. This is done when you are being “pre-qualified” for an offer but are not actually requesting credit to make a purchase. This also does not affect your credit rating. A “hard” inquiry is when you are actually requesting a line of credit in order to make a purchase (a car loan, a credit card, etc.). In these instances the creditor (or lender) will request your credit score as part of an active application for credit on your behalf. Every time that this is done it is recorded as a hard inquiry on your credit report and too many of these type of inquiries can actually lower your credit score. It’s important to know that the number of hard inquires made on your behalf account for about 10% of your total credit score so it is best to apply for a new line of credit only when necessary. Timing is also an issue and numerous hard inquiries in a short period of time are the most damaging. This situation most often occurs when an individual is declined credit to make a particular purchase and then decides to apply for credit at other businesses in hopes of getting approved. (i.e. being refused a new car loan at one dealership and then applying at numerous other dealerships). There are many companies that provide a free credit check to consumers (usually 1 per year) and it is always a good idea to routinely review your own credit rating just to be sure that there are no erroneous entries or errors on your report. This happens fairly often and it’s a good idea to make sure that your credit report is accurate.